Now celebrating its 20th Anniversary, The Blank Theatre’s Nationwide Young Playwrights Festival has chosen 12 plays by young playwrights, aged 9 -19, from nine different states. These plays will be presented by professional actors and directors in this year’s festival at The Stella Adler Theatre in Hollywood, May 31 – June 24. This year’s winning plays are: COFFEE TALK by Spencer Opal-Levine, Sarasota, FL, Age 9; DAMMIT! by David Agronin, Owings Mills, MD, Age 17; BEAR IN MIND by Emma Steinkellner, Santa Barbara, CA, Age 17; THE ART OF LOSING by Nicole Acton, Interlochen, MI, Age 18; ARC by Elana Zeltser, Sherman Oaks, CA, Age 16; THE INDEX by Zachary Weaver, Overland Park, KS, Age 19; OTHER PEOPLE’S ORGANS by Paige Roth, San Antonio, TX, Age 18; SCRAPBOOK by Brendan Blaber, Indian Head Park, IL, Age 17; THE GRANT PROPOSAL by Nick Mecikalski, Madison, AL, Age 18; ONE PLUS ONE IS FOUR by Rachel Kaly, Forest Hills, NY, Age 16; PRINCESS by Kate Herzlin, Rockville Centre, NY, Age 19; and THE CARDIOLUTHIER by Dylan Zwickel, Manhattan Beach, CA, Age 19. A panel of theatre professionals chose from over 200 plays submitted by teenagers across the nation. Winning playwrights are next assigned a mentor, and then a professional director who will help them hone their scripts for four public performances with professional actors. This year’s mentors include David Rambo (NYC22, V, CSI), John Cariani (Almost Maine), Dave Holstein (Weeds), and Ellen Byron (Just Shoot Me, Wings). Over the past 19 years, The Blank has produced 220 plays by teenaged playwrights. Eleven of those plays or playwrights have gone on to be presented on The Blank’s mainstage, including Speech & Debate by Stephen Karam. Additionally, many of the plays have been nominated for LA theatre awards, including an Ovation Award for Best Writing—World Premiere, and an LA Weekly Award for Best One-Act Playwriting. Other alumni playwrights are populating the nation’s theatres and sound stages with their work. Many YPF winners have gone on to successful writing careers creating TV shows, filling regional stages, teaching writing to others, and founding regional Young Playwrights Festivals. In support of the 20th Anniversary YPF, The Blank received its first ever grant from the National Endowment for the Arts. This year’s festival is also made possible by Ralph M. Parsons Foundation, The Plum Foundation, Los Angeles County Arts Commission, and City of Los Angeles Department of Cultural Affairs. The Blank Theatre’s 20th Annual Young Playwrights Festival runs May 31 – June 24 at the Stella Adler Theatre, 6773 Hollywood Boulevard, in Hollywood. The performance schedule is Thursday, Friday, and Saturday at 8pm and Sunday at 2pm. Each week’s program includes three plays, and admission is $20 for adults and $14 for students. Festival passes, which are good for one ticket each week of the festival, are $65. Tickets may be purchased in advance online at www.TheBlank.com, or via phone by calling (323) 661-9827. The Lyric Theatre Foundation concludes its 2012 season with a newly revised version of Aftershocks, written by Doug Haverty, and directed by JC Gafford. There will be two preview performances on Wednesday, May 9 and Thursday, May 10, and opening night is set for Friday, May 11 at 8:00. The limited engagement will continue through June 16. 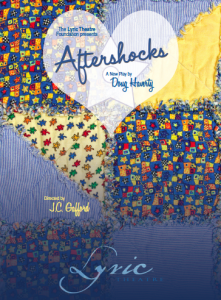 In Aftershocks, two escaped housewives from Ohio are having the time of their lives residing in a Valencia trailer park, and being extras in the movies. Everything is great until someone’s past shows up on their aluminum doorstep. Doug Haverty’s award-winning plays and musicals have been presented around the world. Several of his plays are published, including Could I Have This Dance? (chosen by the American Theatre Critics Association as Best New Play to be produced outside NYC). 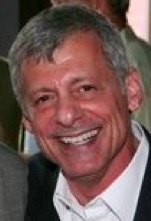 His musical (co-written with Adryan Russ) iGhost had its world premiere at the Lyric Theatre in the spring of 2011. The cast of Aftershocks will feature (in alphabetical order) Dorrie Braun, Summer Harlow, and Julia Silverman. The lighting design is by Ryan Schull, costume design is by Hunter Wells, and sound design is by Craig Jessen. The stage manager is Holly Wolfstein, and Dorrie Braun produces for the Lyric Theatre Foundation. Aftershocks will play two preview performances on Wednesday, May 9 and Thursday, May 10, at 8pm. Opening night is set for Friday, May 11 at 8:00, and the engagement will continue through June 16 only. The running schedule is Friday and Saturday evenings at 8:00. Aftershocks tickets are on sale now ($20 for general admission), and may be purchased by visiting www.plays411.com/aftershocks, www.Goldstar.com, www.LAStageAlliance.com, or by calling (323) 960-1055. The Lyric Theatre is located at 520 N. La Brea Avenue in Los Angeles, 90036. Street parking is available. For more information on Aftershocks, and the Lyric Theatre, visit www.LyricTheatreLA.com. Pedestrian, a new comedy by Rita O’Farrell which had its world premiere in the 2011 Hollywood Fringe Festival, will have a limited run at the Lounge Theatre, it was announced today. Directed by Marjo-Riikka Makela, performances will begin on Friday, April 27, with opening set for Sunday, April 29 at 7pm. The limited engagement will run through May 27 only. Pedestrian is the tale of Sherry and Dennis, a young couple flirting with upwardly mobile status, whose world is suddenly thrown out of balance due to a strange incident on a subway platform. Dealing with circumstances that unsettle what Sherry and Dennis thought was a perfect life, they begin to question when to strive for structure and safety, and when to settle for less. Meanwhile, a collection of very odd and unique plant life makes an unexpected appearance. Rita O’Farrell’s other plays, Icebox Genius and Apologetic Killer, have been produced at various Fringe Festivals around the country. The cast of Pedestrian will feature (in alphabetical order) Daniel Ball, Kristyn Chalker, David Collier, Max (a dog), Gary McKee II, Olga O’Farrell, and Luis Sosa. Technical direction is by Daniel Moseid, the lighting design is by Jonathan Daroca, and the stage manager is Mary Naylor. 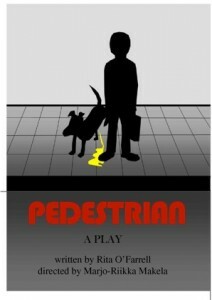 Pedestrian is produced at the Lounge Theatre by Rita O’Farrell, Chekhov Studio International, and Theatre of Wolves. Pedestrian will play two preview performances on Friday, April 27 and Saturday, April 28, at 8pm. Opening night is set for Sunday, April 29 at 7:00, and the engagement will continue through May 27 only. The running schedule is Friday and Saturday at 8:00, and Sunday at 7:00, with one added Thursday performance on May 24, at 8pm. Pedestrian tickets are on sale now ($20 for general admission), and may be purchased by visiting www.brownpapertickets.com/event/237242, or by calling (509) 389-8405. For more info, visit www.chekhovstudio.com. The Lounge Theatre is located at 6201 Santa Monica Boulevard (at El Centro), in Los Angeles, 90038. Street parking is available.